While we tend to spend a lot of time and money on our faces, our bodies shouldn’t be ignored too. Soft, smooth skin never goes out of style, and Althea has come up box filled with specially curated products that’ll leave you feeling clean, pampered and luxurious in all the right places. Don’t worry, Althea’s got you covered from head to toe. Here’s the beauty breakdown on the Body Box! Fresh and delightfully feminine, this body range from Innisfree embodies the cozy scent of cotton flower to both cleanse and moisturize your skin. The body cleanser lathers into rich suds, and washes away dirt without drying out the skin, while the lotion absorbs easily sans any sticky feeling. Give this dynamic duo a try for supple, gently fragranced skin! How to use: Lather up the Body Cleanser with damp hands and massage onto the skin, then rinse off with water. After taking a shower, apply the Body Lotion and massage into the skin. Are you a fan of cats? Even if you’re not, you’re still going to squeal at the sight of this adorable item! This super cute shower puff lathers up your shower gels effortlessly for a bubbly good time, plus it looks extra cute hanging in your bathroom. We love using this with the Cotton Flower Shower Gel in this box! How to use: Dampen in the shower and squeeze on some shower gel, then rub between hands to lather up. Mmmm, who can say no to deliciously smooth skin? This body scrub from Aida might just be the shower companion you need. 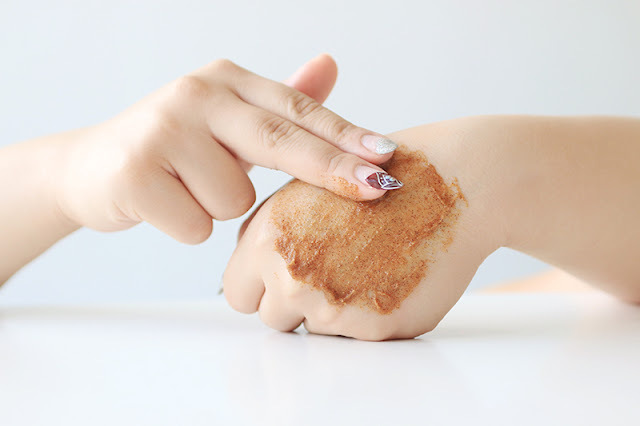 Made with fine walnut pieces, this product works to scrub away dead skin flakes and remove impurities while keeping it hydrated, leaving your skin soft, smooth and clean. It feels nice and gentle, and has a fresh grapefruit-like scent to it that we love. How to use: Squeeze out a small amount and massage onto damp skin, working in circular motions to exfoliate the skin. 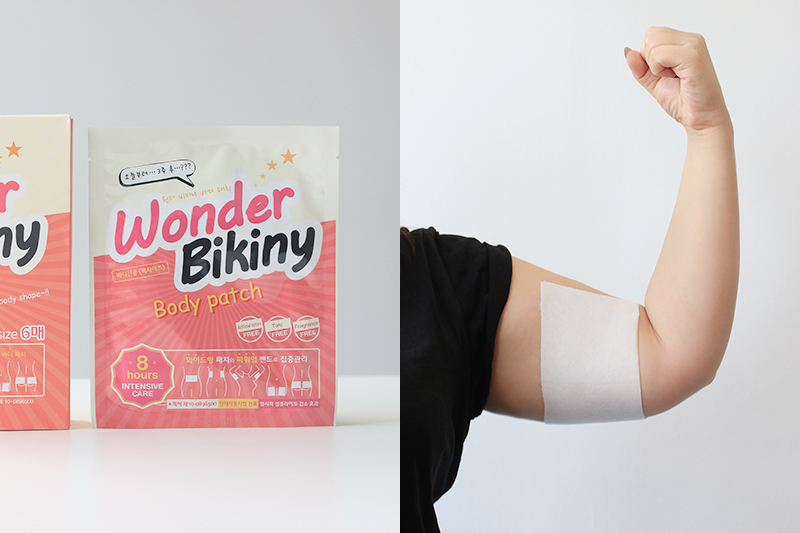 If you’re trying to get your body ready for the beach, then you’ll want to try these out! These patches have an innovative sticky texture that allows it to really adhere to your targeted areas (without making peeling off a pain later) while a minty mix of ingredients including caffeine and other natural ingredients work to tone and firm up any floppy bits you might have. It feels refreshing and very comfortable to wear for all 8 hours, and it isn’t too thick so you can get away with wearing it under most clothing as long as it’s not skin tight. Alternatively, pop these on before you sleep and let it work its magic while you get some shuteye. How to use: Remove film and apply sticky side onto the skin of the targeted area and leave on for 8 hours, then gently peel off from skin. This spritz is good for more than just making you smell good! It contains a duo-layer formula consisting of oil and an essence water that absorbs into the skin or your hair, so you can use this all over the body. This moisturizes and leaves behind a mild musk scent, keeping you feeling hydrated and fresh all day. Its great size makes it perfect for throwing into your bag to use on the move too, making it perfect for hotter, drier days. How to use: Spray onto skin or hair and gently pat in for better absorption. Use whenever necessary. Whether you’re a sneakers or heels kinda person, your feet can take a roughing up now and again. Don’t neglect them, show those footies some love with these two peeling packs! The Calmia ones are formulated with AHA to gently peel away dead skin cells for renewed, smooth skin while collagen, hyaluronic acid and snail extract moisturize and plump out dry, cracked feet. 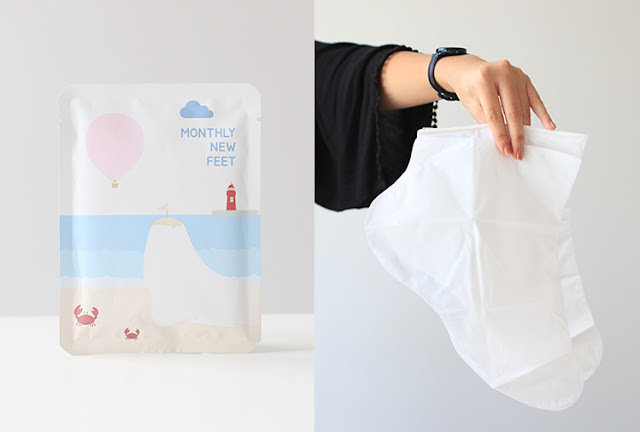 The PACKage one is infused with orange oil to not only soothe dry feet, but to also deodorize them. Don’t be alarmed when they start peeling (and definitely don’t peel them yourself) as they will come off on their own without any pain. 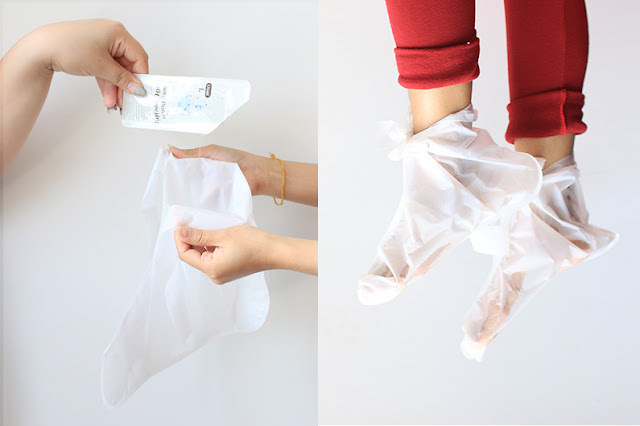 How to use: Open up essence packet and pour into paper booties provided, then wear onto feet and secure by tying up the strings. Leave on for 1-1.5 hours, then remove, rinse with water, then dry off with a towel. A gorgeous, fabulous body, what more can we ask for? We’re in love with the products from this box, so make sure you check out Althea's site to get this or any of our beauty boxes. Are you guys fans of body products? Have you tried out any of these items mentioned above? If not, which ones would you love to try? Let us know in the comments down below! Wow! That Body Box is a must try especially that summer is getting near here in the Philippines. If we want to have that smooth, smell good and bikini worthy body this is a must try items from Althea..you can never go wrong from your body down to the feet. I haven't tried any of it but looking forward to try any of them or maybe all of it! such a good product .. I know right? We loved this box too!